Defining Features: He has amassed a few almost invisible scars from his uncanny ability to get cut and shot up. Personality: Grant's personality changes depending on his need. He always has a plan, and his personality reflects said plan. yet Grant has a way of making sure no one knows his plan, nor which side he is on. However Grant has his own strengths and weaknesses like every mortal man. His past is one of his weaknesses, as it haunts him, his younger brother's death, which he still blames on his older brother. His feelings for others is another weakness.. When he grows to care for people, he effects his actions. He loves Skye, so he can not kill her. He cared for Fitzsimmons, so he could not put a bullet through their brains. His strengths include his ability to lie, even when taking the most advanced of lie detector tests. He can stay calm in all ventures, which helps with the lying thing. He has a silver tongue, which means he can normally get people to see his way, which ALSO means he can brainwash people. Skills and Talents: He is an expert Martial artist, a Weapon specialist, and he is the Super Spy, none but Natasha Romanova herself could out spy Grant. Powers:His only powers are his talents. History: Grant was a middle child in a family of 5, and was the least famous. When he was young his older brother ended up killing his younger brother, and blaming Grant for it, which haunted him for the rest of his life. When he was a teenager Grant got into a life of crime, which landed him in a youth correctional facility. Agent Garrett rescued Ward from juvenile hall and took him into the wilderness, leaving him there with nothing but a bag of clothes and a dog, Buddy. Ward raided houses and lived a somewhat stress-free life during Garrett's six-month absence. Upon Garrett's return, Ward was trained for four-and-a-half years in marksmanship. 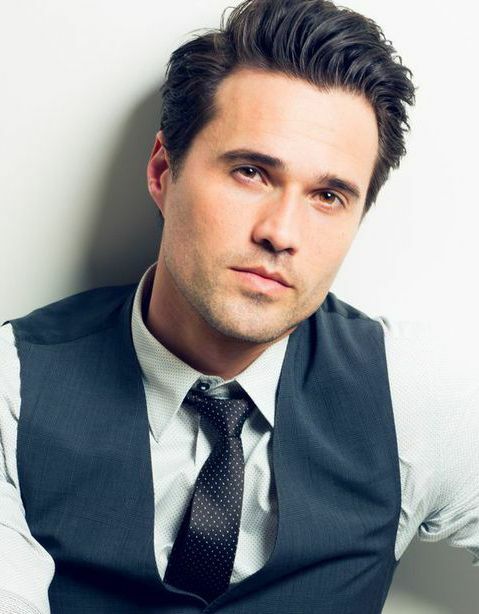 Garrett informed Ward that he worked for HYDRA and invited Ward to join. Ward accepted, and Garrett instructed him to kill Buddy to prove devotion and a lack of attachment. Ward fired into the air, knowing the Buddy would run away as he had done many times before. The dog is later seen to be shot with a sniper rifle. It is left unclear who shot the dog. He next was trained as an Agent of SHIELD under Garrett and took on many solo missions to raise in rank. One day he was promoted to level 7 and joined Phil Coulson's team. He spent the next while gaining the teams trust, finally gaining all their trust when he jumped out of the Bus to save Jemma Simmons. he developed sexual relationships first with Melinda May, and then began his romance with his rookie Skye. By this time though Hydra had risen, and Grant knew his time with SHIELD was now short. Deep down he did not want to continue with Hydra, for he had real feelings for Skye, but had his duty to Garrett. Now he serves Garrett as his second in command, so he has a much more comfortable position in Hydra than in SHIELD. Roleplay Sample: Grant had not wanted to be found, yet he did not mind the chance to meet the famous Agent Natasha Romanova. Aside from Agent May, it seemed that Agent Romanova would be the only other challenge SHIELD had to offer him. Coulson did not seem to learn though, he could not hold on to Grant. He had yet to figure out Grant's weakness even... Skye. Had he sent Skye he probably would have come quietly, especially since she had powers now that she could hardly control, Grant would not want Skye to hurt herself. So when Natasha Romanova so subtly hinted that she would shoot if he moved, he slowly raised his hands into the air, silently cursing himself for choosing this exit "Why don't you walk with me Romanova? I am sure you have many questions only I could answer." He said, knowing full well of HYDRA attacking her and Agent Barton, and using this weakness to his advantage. He really regretted what he had done to SHIELD. He wished Coulson would see that, see that Garrett had played Grant Ward like a child.. mostly because he had been a child. By the time Grant learned what he was doing was wrong, he had seen Garrett as a father figure, and could not betray him. Now that he was dead, as was his brother Christan, he was free.. and all he wanted was to return to SHIELD and work beside Skye. He wished SHIELD had never fallen, and he was still on the bus training Skye and working alongside May, Coulson and FitzSimmons. Your title is Field Agent and you will report to your cell commander. peak efficiency. Treachery and incompetence will be met with immediate execution.